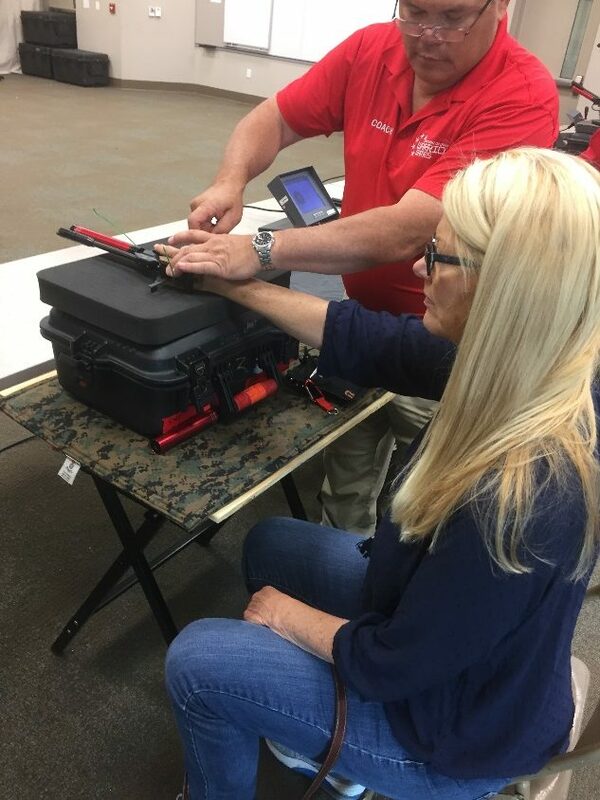 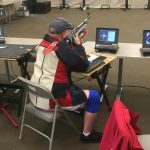 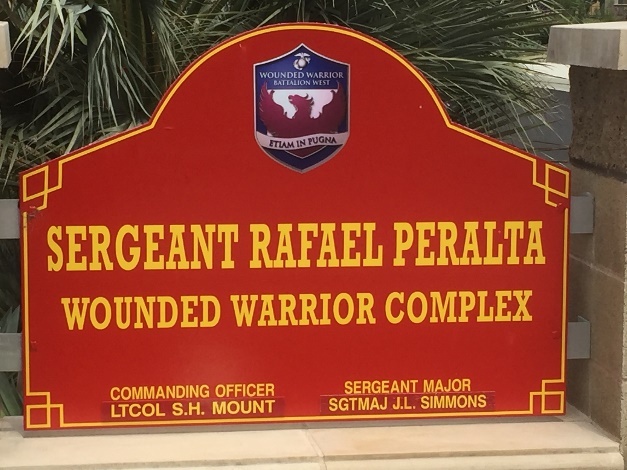 Wounded Warrior Training Camp – Special Delivery! 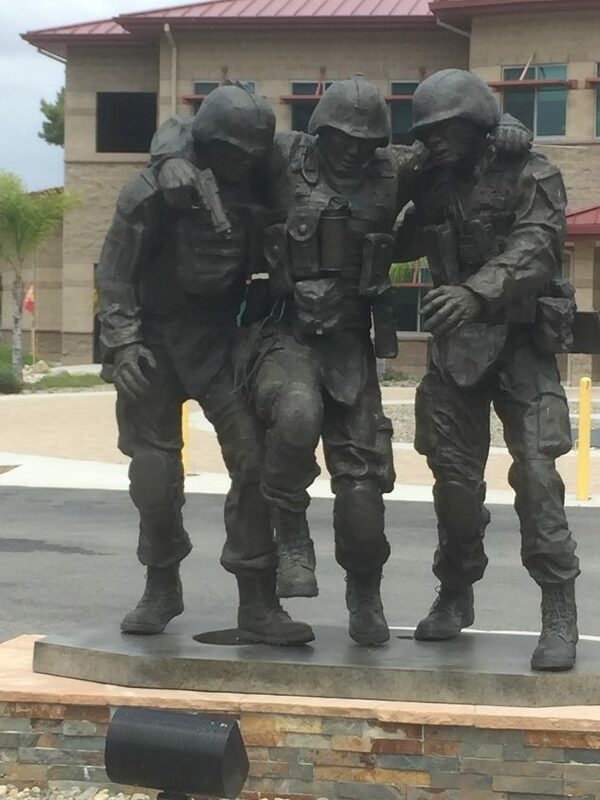 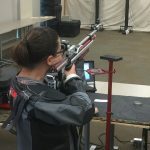 In case you didn’t know Harry is dedicating a solid week of support and coaching at the Wounded Warrior Training Camp on MCB Camp Pendleton. 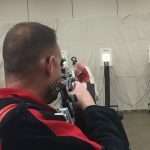 This is the training camp for the Marines leading up to the DOD Wounded Warrior Games in Chicago during July. 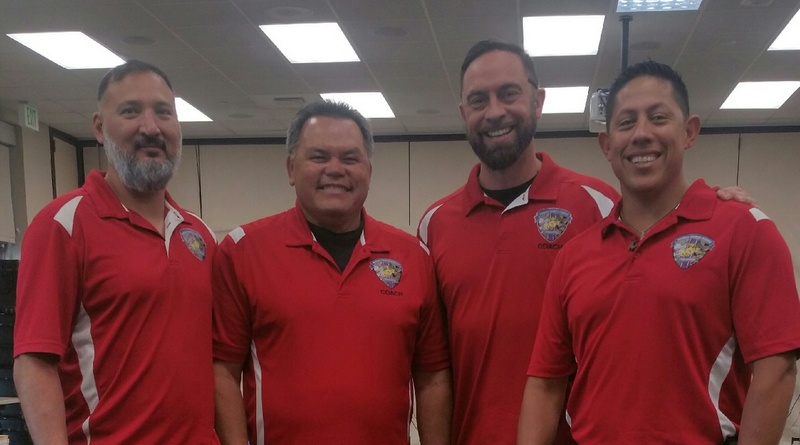 The Shooting Coaches are (Left to Right) John Flores (GySgt, USMC Ret), Harry Harrison (MGySgt, USMCR Ret), Phil Bryant (SSgt, USMC Ret), and Mike Rios (GySgt, USMC Ret). 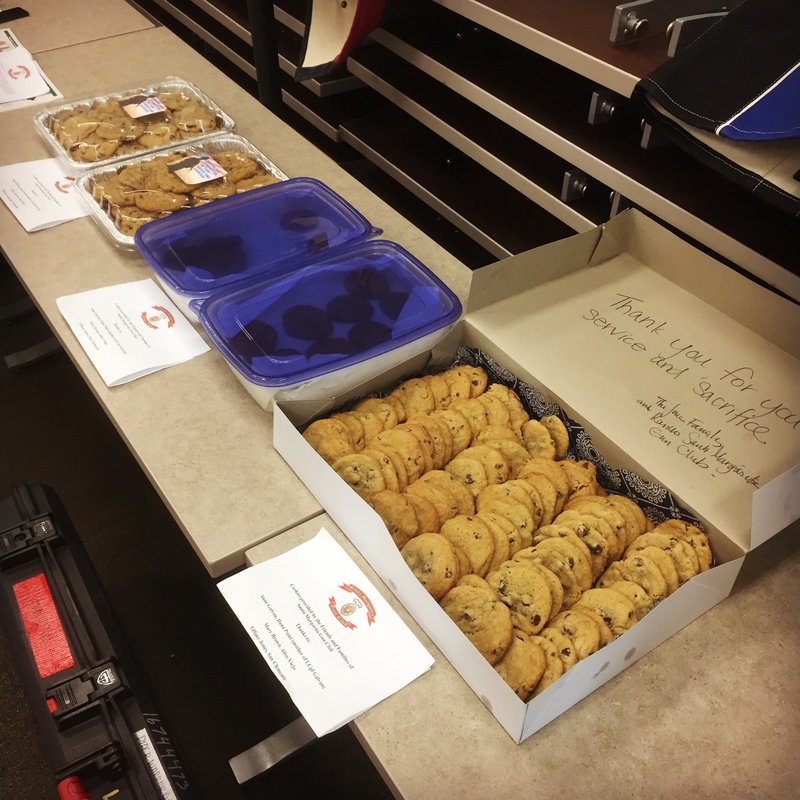 My wife and some of her friends made batches of cookies for all the competitors, we will see how well they get shared. 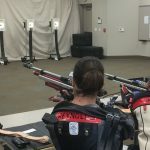 Thank you to Anne Galvan, Mary Brown and Tiffany Jones. 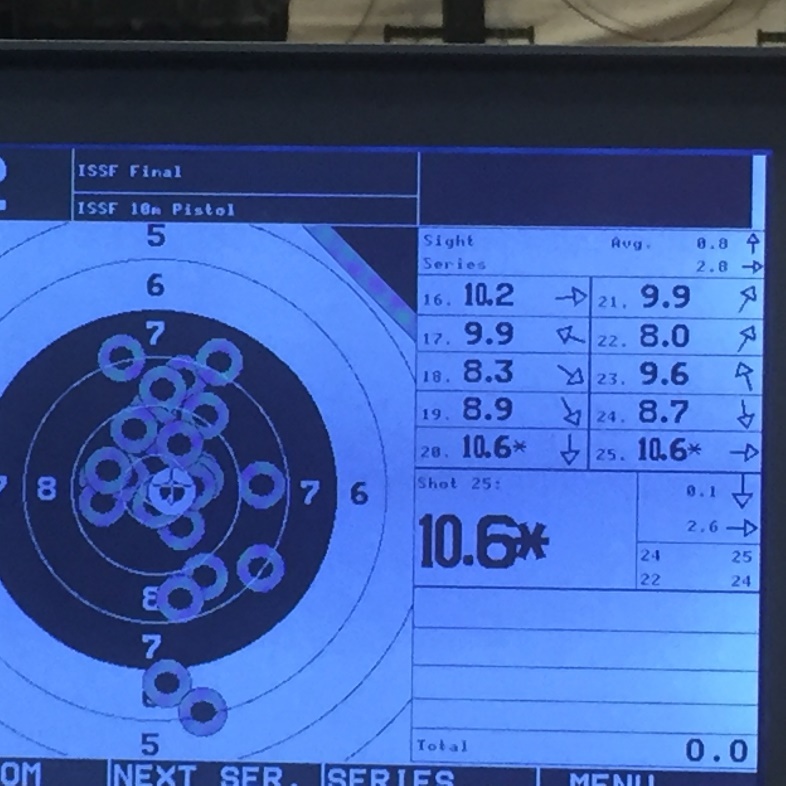 As a reward, Tiffany got a little training from Harry here is her first group with the Olympic Air Pistol! 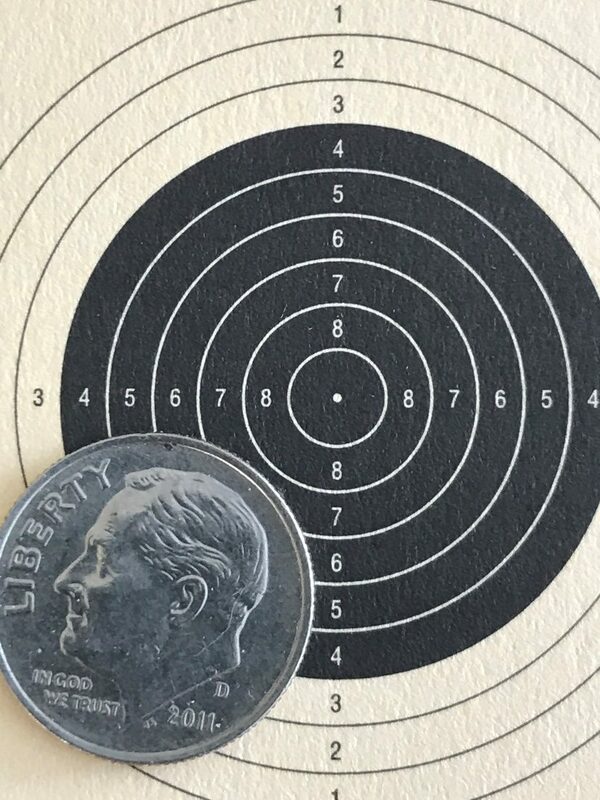 For those of you who haven’t seen this shooting, the rifle target is shown below the 10 ring is a dot! 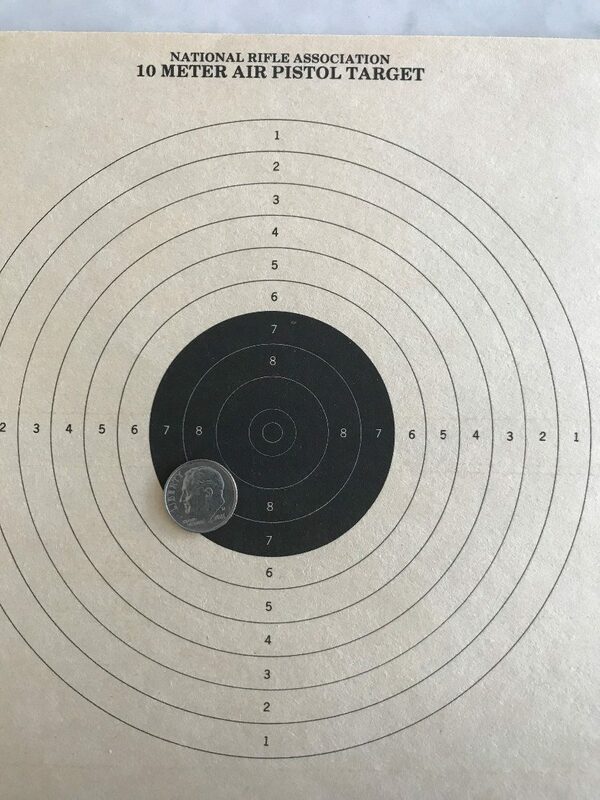 All shooting is from 10 meters, and yes it is hard.